Tomatoville® Gardening Forums Index > What Else Do You Grow? 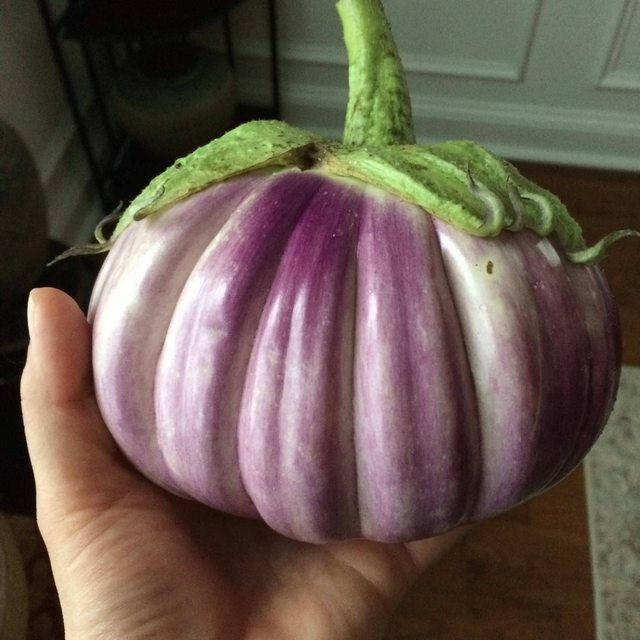 > Miscellaneous Edibles > Eggplant aka Aubergine > What are your varieties this year? Just Listada de Gandia and Little Fingers for me this year. I got what is apparently a bad pack of seeds of Black Beauty from an Ebay seller. Planted 10 with no germination. I'm excited about my two Listada plants. Huge beautiful leaves with many developing eggies. pretty much taste the same, delicious grilled with olive oil, garlic powder, and salt. I did try germinating ping tung long seeds earlier this year, but they did not germinate. I will try again next year with a different source. doing the Asian ones. I may try again next year. Last edited by roper2008; July 11, 2017 at 06:34 PM. Those are gorgeous, Gorbelly! My eggplants are just starting to open a few blossoms, after suffering with horrible flea beetle and hail damage. Black Beauty seems to be doing the best, followed by a Japanese one called Senryo Nigo and a Turkish one called Halep Karasi. Casper probably won't produce at all, and Pandora Striped looks iffy. It's not the best year for eggplants in my garden, but I'll have some eventually! Thanks, Hudson. I just remembered that I was supposed to arrange with you to send you some Aswad seed for this season. Would you still like seed? I actually forgot to save seed from mine last year, but I still have enough from my original packet to send about 20 seeds to you while having enough for a future growout for myself. To taste these first Kamos, I roasted them with simple salt and pepper and good olive oil from Crete. My eyes rolled back in my head. Excellent sweet, rich, lovely flavor. 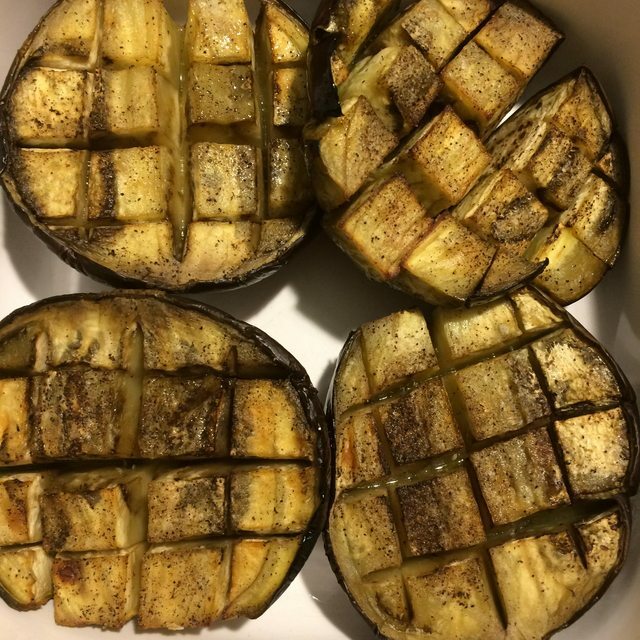 Just a little more satisfying tooth and chew than Mitoyo, which is a very soft and creamy eggplant. Hard to say which one is better. It really depends on what you want to use it for and what mood I'm in, I guess. That looks awesome - nice variety. I have about half a dozen that are taking off right now. Can't wait. The nice thing about the Asian ones is they grow fast. I've been eating eggplant for a month now. 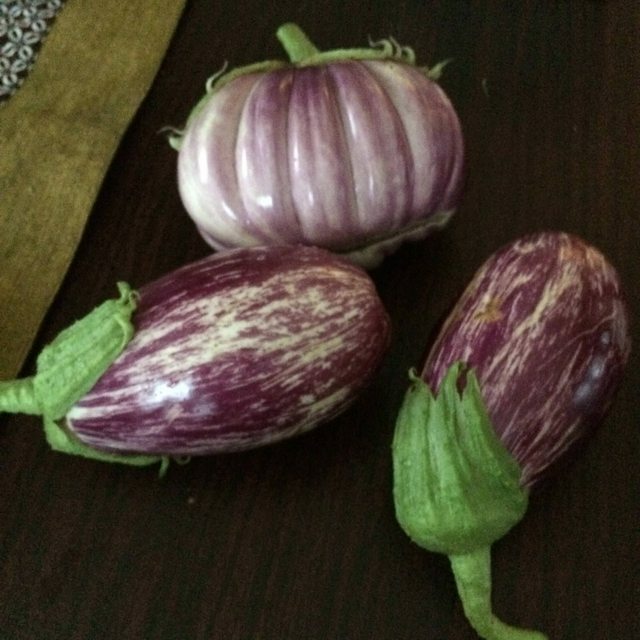 Nice eggplants! I'm determined to grill some and yours look very appetizing. Unfortunately I'm having spider mite and aphid problems. Louisiana Oval Green are the only large ones I'm harvesting for now. Been picking eggplants daily for a while now. Happy with productivity of all three varieties, and all taste very nice, but the Kamo is definitely the best. I think I'll stick to almost all Japanese varieties next year with maybe one or two plants for trialing new varieties. Gorbelly, I came across your posts on Kamo and Mitoyo and was wondering which one is the heavier producer? 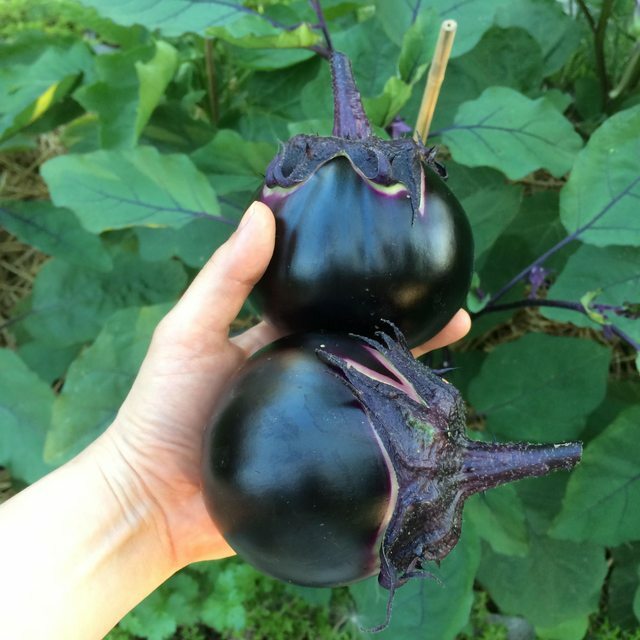 I grew Mitoyo and put the plants in late this season so they're bit a slow but it is the best eggplant I've ever tasted. I like that full, rich flavor with no bitterness. I've yet to try Kamo but will try it out next season. I run a garden center with my family where we do a small produce stand and I like to experiment a bit. We've grown Rosa Bianca, Violetta di Firenze, Ichiban, Mitoyo, and Rosso di Rotondo. The only one I didn't like is Rosso...extremely bitter and I picked them at multiple stages. Perhaps it was an offyear for whatever reason, but I won't be using garden space on those again. How is Listada? I've heard it's very good. Last edited by ac21686; August 22, 2018 at 10:22 AM. Lebanese Bunching - Over-wintered from 2017 season, meh taste. Mitoya - tasty which was expected based on reviews. Ping Tung or Long Purple - Tasty but not in a standout way, I won't rule out that the fruit will get tastier down the line. Casper - Now this was a revelation, I was mostly interested in this as a novelty but the one fruit that I harvested and cooked thus far has knocked my socks off in terms of taste.